As a court reporter I see the services we provide to our clients in that same light. They, too, are tools. I wouldn’t begin to tell you how to use these tools - that’s not my place - but it is my job to make them available to you, a craftsman in your own right. Just as Kleenex is an eponym for tissue, the Etran is the eponym for an electronic transcript. Etrans can be stored on an iPad or laptop, grouped into cases. There’s an index for looking up names and words. It can be forwarded on to the expert, and if a hard copy is needed, you can print it from your file in various formats. This is sometimes referred to as a dirty ascii. Your court reporter should be able to email you a transcript at the end of a deposition if a same day transcript is needed. A rough comes with a disclaimer that tells you there will be errors and misspellings, that you can’t quote from it in legal pleadings, but even though it’s not perfect it can be very helpful to you and/or your co-counsel until your final transcript arrives. This allows an attorney to view and search the transcript as it occurs at the deposition. There are various programs that allow you to connect to your reporter via the net. You can even view a realtime session on your cellphone. Plus, you can save the session as a rough draft. What my clients use realtime for is to see if an expert answered their original question they asked two or three minutes ago; to look at what was said two hours ago, or to even have experts view the testimony in another city and email with questions and/or comments. With the advent of programs like Zoom, you can do video conferencing from and to anywhere. You can be at your desk questioning a physician in their office in another state, and all we need is a good Internet connection. This is an easy to use time and money saver. Simply put, this is closed captioned video where in post production we marry the written transcript to the video. Its best use is in editing videos for trial purposes. Once you’ve tried daily copy, it is an indispensable tool for trials and arbitrations. We have a team that provides final copy of testimony within 24 hours. You are sent a rough draft at the end of the day’s proceedings, and your final is emailed to you and/or your team the next day. Judges in particular appreciate having yesterday’s proceedings in their hands when making a ruling on an important issue that’s been raised. Our court reporters are that, trained professionals in their craft. They can read back testimony, from the last question and answer to something that was said over three hours ago. Occasionally we have to tell witnesses (and attorneys for that matter) that we need them to either speak up or to speak one at a time. It’s a part of our craft and one of our tools we use to ensure that we are providing an accurate record, since that’s the main reason for having us there in the first place. 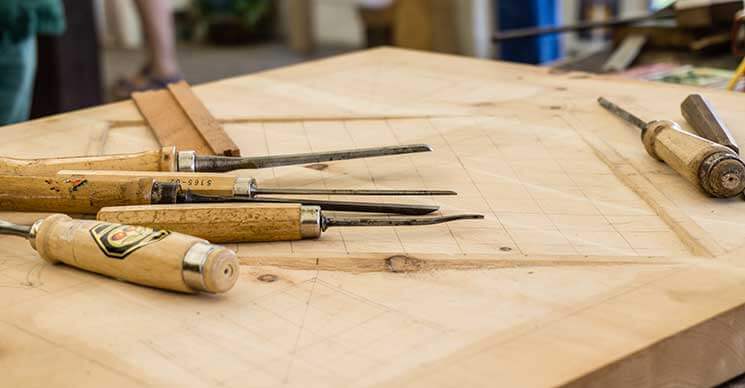 While I don’t have a station wagon, I do have an SUV and I do bring my tools into the house at the end of each workday, just like my grandfather, and I too think of myself as a craftsman. Are you taking advantage of these tools in your depositions? In another article, we discuss Seven Tips for New Attorneys Taking Depositions. Rick Coulter is a certified and realtime court reporter and owner of Coulter Reporting, LLC, based in Louisville, Kentucky.